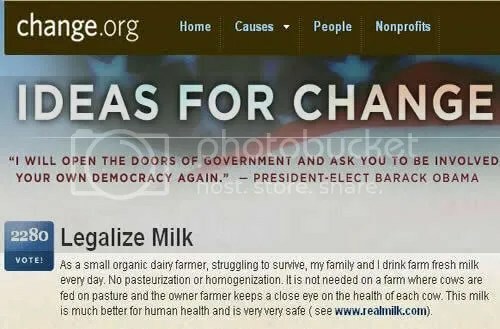 Vote today to legalize raw milk in U.S.
“….We wanted to let you know that the first round of voting for the Ideas for Change in America competition will end this Wednesday, December 31 at midnight Pacific Time. The idea you have voted for, “Legalize Milk,” is currently in 2nd place in the Other category. The top three ideas from each category will make it into the final round, so if this idea remains in 2nd place, it will qualify. You may also want to try posting the link on Facebook or any blog you may write. Here we come a Carroll-ing among the leaves so green. 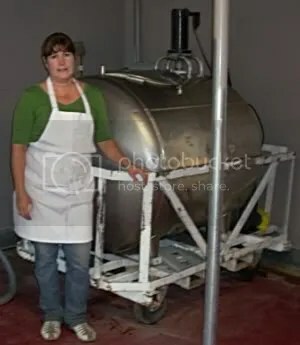 Sharon Ann Palmer of Healthy Family Farms, arrested in California for raw goat milk crimes? 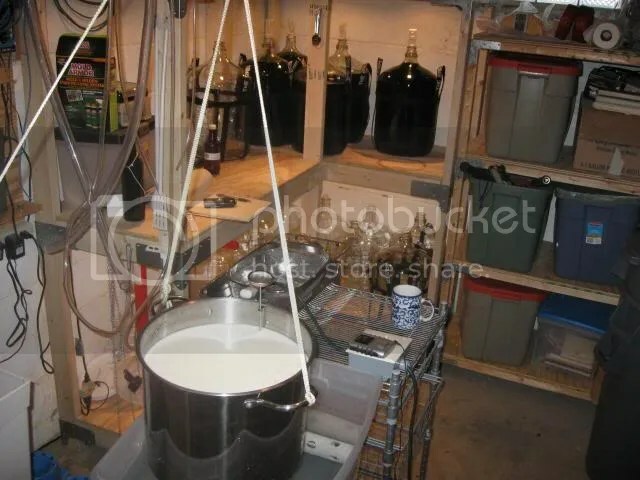 “….Sharon Ann Palmer, 48, was arrested in connection with the plant called Healthy Family Farms at 6780 Wheeler Canyon Road, Ventura County Sheriff’s Department officials said in a prepared statement. It is that time of year again where we all reflect on the past and on the future. As much as we try to avoid the mirror for the purpose of inner reflections, it is a wonderful tool to re-assess where we have come from and where we need to go. The current state of the world teaches us once again that we have no control over so many things we thought we would have. 2. I earned my Bachelors of Science, Masters of Science, and M.D. from the University of Michigan in 1956, 1957 and 1966 respectively. 3. I have been licensed to practice medicine in the State of Michigan since 1967. 4. I completed specialized residency training in pathology at the University of Michigan in 1971. 5. I am certified in Anatomic Pathology by the American Board of Pathology. 6. I have written a book on pathology and have written several chapters in other books on pathology. Vegetarian diet? -- not so smart after all. Picture from "PETA". And no, that doesn't stand for "People Eating Tasty Animals". “There’s really no need to point out to the hopeless morons opposed to raw milk that nature knows best. Milk, straight from the cow, is OBVIOUSLY far better for you than any manipulated product. It contains all of the amino acids, cutting down the body’s need to manufacture them out of the essentials. Some people have lived on nothing but milk, straight from the udder. No need to argue over the ‘high fat content’ of what comes perfectly made. The way it’s made is superior, no matter what new trend comes about. From yaks to cows to goats, Mama Nature knows best, and feeds us from her breast.